The 7 steps to any friendship are – Know, Trust, Love, Embrace, Use, Help, and Thank which lead to Mastery. 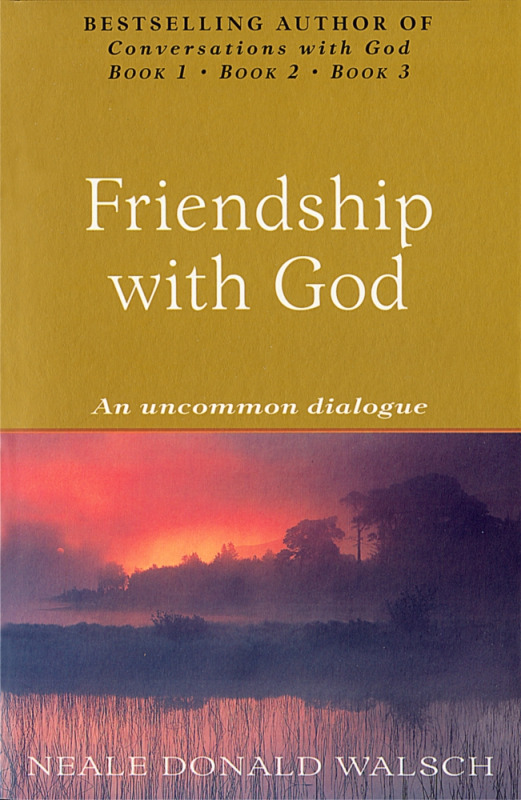 When you apply them to God you have a friendship with God which is all the more Masterful! Do you Know God? And do you know that, Knowing God is Knowing your Self which is your Soul - the God in you which is ever-present and everything, and needs nothing except experience of what it already is? And that, this process of experience happens by experiencing things one by one like tall & short, hot & cold, rich & poor, activity & peace, etc.? Do you know that you can Trust God by not needing to Trust because God is always there for you just like gravity is always present? Do you Love God without condition, limitation, expectation and need? And do you know that Love is free and therefore should be unconditional? And that you will receive Love in the same way as you give it? Do you Embrace God by sitting in silence often? Do you know that one way this happens is by just BEING and watching where your thoughts are going without analysing them? Do you Meditate at least twice a day? Do you Use God by applying tools given by God - Creative Energy (Thoughts, Words & Deeds); Gentle Wisdom (Intuition); and Pure Love (Unconditionality)? Do you Help God by living, Deliberately by using thoughts, words and deeds; Harmoniously by using intuition; and Beneficially by using unconditional love and kindness? Do you Thank God by being in a state of Gratitude for your eternal life which is full of excitement and constant change? Do you know that you cannot think Gratitude but you can BE grateful (Ex. You don’t think love but you BE in love)? And that, being Grateful will attract what you choose to be Grateful for very fast? i. Do you know that your Soul Energy which is also your Creative Vibration is Joy just like the sun’s energy is heat and light? ii. Do you know that Joy is experienced when your Soul expresses its energy by uniting with others and things, with the natural magnetism of love which is let out by opening your Heart and opening your Mind which when closed shield love? iii. Do you know that when you connect with others and give Joy to them by simple things like humour, laughter and smiles, that you will feel Joy moving in you? iv. Do you know that when you connect with things and release your Creative Vibration, that you will feel Joy moving in you? i. Do you know that the first step to Love is to Love yourself? ii. Do you know that Love is Giving and Love is Freedom within a discipline? iii. Do you know that Love is Being Natural and not Normal? iv. Do you know that allowing another to bring you joy is Love? v. Do you know that Love let’s go of expectations and requirements and need holds on? vi. Do you know that Love is not having to say you’re sorry? vii. Do you know that Love is not withholding Love when you do not agree with another but giving more of it then out of compassion? viii. Do you know that you have to be aware, honest, transparent and willing in Love? ix. Ask, What would Love do now? Do you know that you have the answer and you are the answer and that the answer will bring harmony? i. Do you know that Acceptance is Embracing and not rejecting? And that, what you resist, persists? ii. Do you know that Acceptance is like water that washes the stains of judgement? iii. Do you know that Acceptance changes your inner experience no matter what the outer circumstance is? i. Do you know that Blessing is not condemning but commending? ii. Do you know that you cannot fully Bless when you judge? iii. Do you know that you are complete and overflowing with Blessing? iv. Do you know that you Bless when you give all things your best? i. Do you know that you should always be Grateful because every circumstance is a gift of experience? a. What is so and why? b. What can change it and why? c. What are the probable outcomes of your choices? ii. Do you know that you have to be Aware that you are Aware and not pretend that you are not Aware? i. Do you know that Honesty is truthfulness? ii. Do you know that Honesty is transparency without hidden agendas and dramas? i. Do you know that taking Responsibility is not an admission of guilt? ii. Do you know that Responsibility starts by willingness for it? iii. Do you know that knowingness that WE ARE ALL ONE will help you to take Responsibility for whatever shows up before you? iv. Do you know that Responsibility is doing whatever it takes to get, the best outcomes and the best remedies for unwanted outcomes? i. Do you know that ANGER negates all the above mentioned 7 STEPS TO FRIENDSHIP WITH GOD; 5 ATTITUDES FOR SPIRITUAL MASTERY; 3 SPIRITUAL CODES OF CONDUCT FOR MASTERY??? ii. Do you know that to avoid the negativity of Anger you should not use it to justify changes proposed in your life? iii. Do you know that frankly stating your views and feelings will help subside your Anger? IF YOU APPLY ALL THAT YOU KNOW AND DID NOT KNOW IN THIS CHECKLIST YOU WILL MOVE TO MASTERY. IF YOU MEMORISE THIS CHECKLIST AND RUN THROUGH IT FOR ANY PARTICULAR CIRCUMSTANCE IN YOUR LIFE, YOU WILL SURELY SURF THROUGH THAT SITUATION LIKE A MASTER! PRACTICE MAKES YOU A PERFECT SURFER… TO KNOW MORE READ THE BOOK ‘’FRIENDSHIP WITH GOD’’. According to me the reason why one must read the latest channelled books on spirituality is about the same reason why one must read the latest science books. It is fine to read old science books to know the history of science and develop an appreciation for how scientific discoveries evolve vis-a-vis a truth that was always there. Laws of science are revealed by God to people in the same way that laws of spirituality are revealed from time to time to different people. Albert Einstein once said, “I want to know God's thoughts - the rest are mere details.“ By reading about new revelations both in science and spirituality we are able to apply what is known till date holistically. A channelled book on spirituality is essentially a communication from a higher being to a person ready to receive, interpret and record the wisdom received. A brief look at what scientists theorised at different times in history on the ubiquitous force of gravity serves as an example of why we must read the latest discoveries of science. In the 4th century BC, the Greek philosopher Aristotle believed that heavy bodies are not attracted to the Earth by an external force of gravity, but tend toward the center of the universe because of an inner gravitas or heaviness. In the 6th century AD, Aryabhata identified the force to explain why objects do not fall when the Earth rotates, and developed a geocentric solar system of gravitation, with an eccentric elliptical model of the planets, where the planets spin on their axes and follow elliptical orbits, the Sun and the Moon revolving around the Earth in epicycles. In the 7th century AD, Indian astronomer and mathematician Brahmagupta described gravity as an attractive force and used the term "gurutvākarṣaṇam” for gravity. During the 17th century AD, Galileo found that, counter to Aristotle's teachings, all objects tend to accelerate equally when falling. In the late 17th century AD, English mathematician Sir Isaac Newton published Principia, which hypothesizes the inverse-square law of universal gravitational force. In the early 20th century AD, Albert Einstein published General Relativity where the effects of gravitation are ascribed to space-time curvature instead of to a force. So here we see great scientists of an era with some theories that failed in later years. Unlike scientific truths that may remain constant and are only subject to different levels of discovery at different times, spirituality keeps evolving with time because the Creator keeps evolving with time too. In one channelled book God says, "I am growing, learning what it is like to deal with autonomous others. I am learning the difference between Self and Other''. All the more reason to read the latest channelled book on spirituality because it will have the latest on it. The fine spiritual forces acting upon the earth also change as the earth’s spin wobbles every 25000 years in what is called axial precession and during the solar system's revolution around its galaxy, the Milky Way! History has reported that some ages have been dark and some have been full of light and spirituality in each of these ages has to be different. History has not been able to record civilisations before ours such as the well-known Atlantis civilisation. Interestingly, channellings have revealed details of this civilisation and why and how it disappeared. 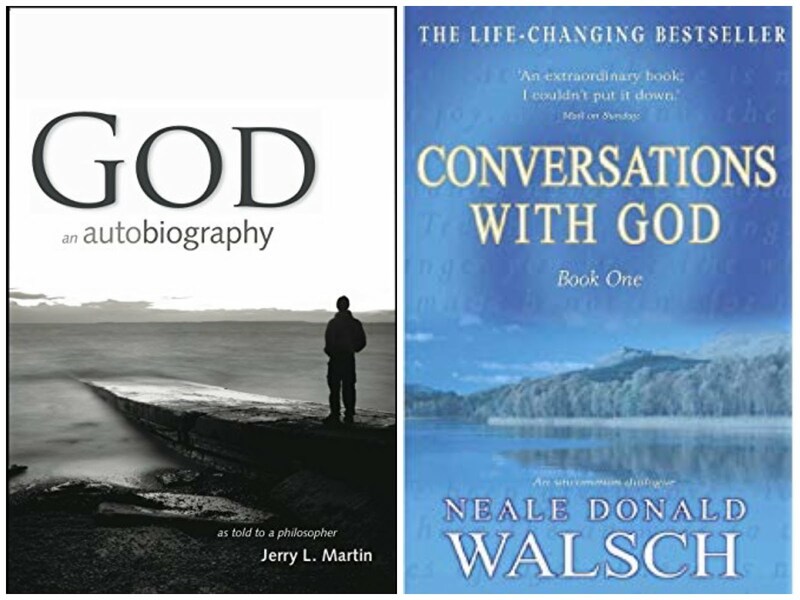 Channelled books on spirituality also have an uncanny broad overview of what they are talking about. It's like a higher logic which seems to be filled with love. And if you want to know what the purpose of human life is and the metaphysics of Creation, then you will find these explained wonderfully in channelled books. For the ones who doubt what a channelled book explains, a reader is usually asked to come up with something better on the subject. 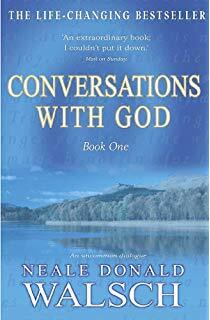 So are you ready to pick up a contemporary channelled book on spirituality for some exciting revelations? During my over 25 year spiritual journey I have read a large number of channelled books on life and spirituality. 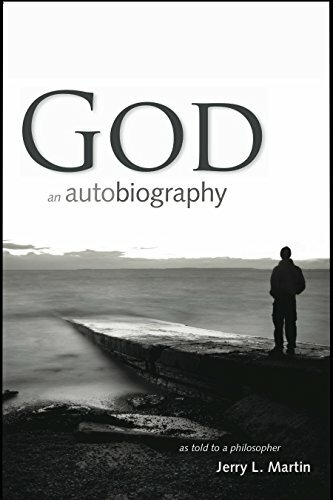 God - an autobiography is the latest among them and it has given me the widest and deepest knowledge about God and what God is up to with humans on planet earth. Among many things, it importantly tells us about the role of humans vis-a-vis God and also how God is evolving as humans evolve. Though the book is an autobiography of God earnestly channelled by Jerry Martin a former professor of philosophy at the University of Colorado at Boulder in USA, through whom God chooses to narrate the amazing experience during the Big Bang and also the revelation of the relationship with God beyond God - the soul of God, to me, this illuminating book has also served as a self-help guide! Thinking before every action what God would prefer and the book has made clear that what God prefers is whatever would make you your best self. Not getting attached to material pleasures because this may turn you away from being obedient to God. Allowing yourself to be guided by God by letting go of your mind as often as you can and following the divine light of God like sunflowers following the path of the sun. Taking guidance and acting upon it like two singers in harmony. That is how God would like us to relate. Not going over the deep-end of spirituality thereby serving the purpose of life and action on earth. 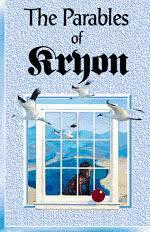 My understandings of the book certainly led to greater harmony within and outside of me. 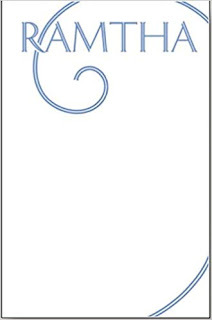 Another great part of the book is that you get a synopsis of many different philosophies of the world at one place from none other than the author of these philosophies - God! The Chinese philosophies of Confucius, Tao and I-Ching, Zoroastrianism, Hinduism, Buddhism, Judaism and Christianity to name a few are all condensed here brilliantly. This has been done for us to realise that all these philosophies are chapters in one big continuing story of mankind. If you have even the slightest interest in spirituality, this is a book that you may end up reading more than once and there will be newness to it every time you read it. 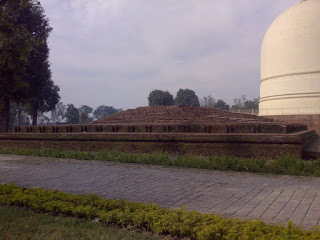 I discovered a place in the year 2000 which is 5 hours away from my hometown in India called Kushinagar that is spiritually charged. Kushinagar has the distinction of being the place where Gautama Buddha attained Nirvana upon his death. The followers of Buddhism, especially from Asian countries, wish to visit this place at least once in their lifetime. Why is that so? From my experience I can tell you that as soon as you enter this city your body starts to de-stress like one feels when slipping into meditation. After an overnight sleep, as I woke up at my hotel which was in the line of sight of the main temple, I was as refreshed as I would have been had I meditated the whole night. I took a round of the main temple in the morning and was drawn towards a brick platform from where Buddha used to give sermons. To my surprise I found a greenish aura on the surface of this platform visible to the naked eye. This was indeed miraculous and the feeling while you sat in its vicinity was blissful. I returned to this place 6 years later and surrendered to this spiritual energy from my heart. To my amazement, I immediately felt a tickle in my heart and a warmth enveloped my whole being - the kind one feels when your mother hugs you with love. This feeling remained with me for 3 months and I would feel so complete with this blissful state that I didn’t want to meet anyone nor do any work. I realised I was losing balance and going over the deep end of spirituality! So I pulled myself together and resumed my work. Recently I read a quote of Buddha in Kushinagar that implied that we must find salvation in this life before the inevitable perishing of your body. I wondered what does anyone mean by “salvation”? The answer came to me immediately. Salvation in this life is when one can remain “light” in every situation. If you are divinely charged and lightened you are enlightened!!! There are many ways in which you can lighten your body and lighten your mind. Yoga, meditation, selfless service, friendships, music and dance are a few of them which have been tried and tested by me. Everything that exists is composed of some form of spirit. So spiritual growth would imply encompassing step by step all that exists. When you include others in your self, you do for others what you would do for yourself. So, if you are concerned about your own cleanliness as an individual and you have expanded your self to include your whole country, then you will be concerned about the cleanliness of your whole country and will participate in it as if it were your own body! For your inner growth one has to become conscious of deeper and finer realms of spirit within you. This happens through regular meditation wherein the mind is shut off so that your consciousness can dive into planes deeper and finer than your mind. With this deepening will come deeper and deeper bliss and an unwavering countenance! Like a tree growing roots and branches to be healthier and stronger, you have to grow within and outside for spiritual growth. Not only will this give you immense fulfilment but it will also contribute to the fulfilment of the universe and make it more whole. Artificial Intelligence (AI) is the most prized investment that the biggest tech companies of the world are making and pumping millions of dollars into it. Take a look at the top 10 investors – Google, Amazon, Apple, Intel, Microsoft, Uber, Twitter, AOL, Facebook and Salesforce. 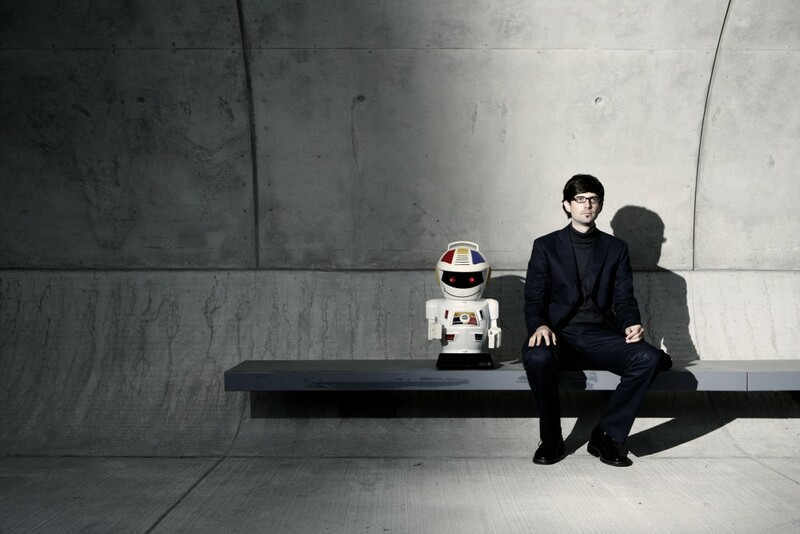 Why is AI so attractive to those with deep pockets? Because these intelligent machines that mimic the neural networks of the human brain can be taught to think and act like humans using what is known as deep learning. By showing the machine real life situations say of symptoms of a disease and then a group of expert doctors telling it what the disease is and what the best possible cure is the machine becomes as intelligent as a panel of doctors, if not more. Instead of going to an expensive doctor you can choose to access the machine owned by a corporate giant, pay a lesser fee and get cured with the machines advice. AI has started to take away jobs, of chauffeurs with autonomous cars on the road, of private secretaries with machine assistants making your phone calls for appointments and many more jobs will go as machines already in the process of deep learning come into the market. To those who say that alternate jobs will be created by AI such as programmers of AI machines, just consider the number of jobs lost against the number of jobs created because of AI. A recent report by McKinsey predicts that by 2030, as many as 800 million jobs could be lost worldwide to automation. So who makes money while those who lose jobs lose money? The ones who own AI machines and the one you used to work for before you lost your job to a machine, in spite of the fact that products and services would become cheaper for the consumer with greater efficiency of AI machines over humans. Ethics of AI will become all important as AI progresses both in terms of its intelligence and its extension into the workplace. The Three Laws, and the zeroth, have impacted thought on ethics of artificial intelligence. But, what if a murderer attacks another human being and that human being whips out a knife in self-defence. By the time the robot sees this circumstance, the two are trying to kill each other. Unaware who is the murderer, the robot injures both humans because its inaction will allow two human beings to come to harm! A big question – Should we use AI as weapons of destruction? And, another big question – Does doing away with jobs on a large scale, worldwide, harm humanity? Ethics of artificial intelligence must be addressed by the UN along with all stakeholders because if only industry organisations formulate the ethics there will certainly be conflict of interest. Some of the important decisions that will have to be taken by governments will be appropriate amount of insurance premiums to be paid by automation machine manufacturers and service providers in order to provide a limited period income support for those who lose jobs to automation. Among other things, this income support will be needed for re-training of jobless people. The good side of income support for re-training if you lose your job to automation is that you can build your creative talents and critical thinking skills which cannot be replaced by a machine. And, if you are able to earn money from these talents and skills by setting up a small business, you can perhaps spend more quality time with family and friends than you did when you were in a job! Beyond the mind is the Seer from which all things arise - All thoughts and all objects. The Seer is like the Ocean and all these things that arise and disappear are waves of the Ocean. You are the Ocean but you can become conscious you are the Ocean only if you drop all thoughts for a second. For a second let there be NO word in your mind. NO Word is NOW. You are now the Ocean, but not in the Ocean. Everything else that you observe now is a wave in this Ocean. You are now the dreamer and the waves are your dreams - the relationships, the house, the vehicle, the food, all have become dreams of a dreamer. The dreamer and the dream are one and not separate. 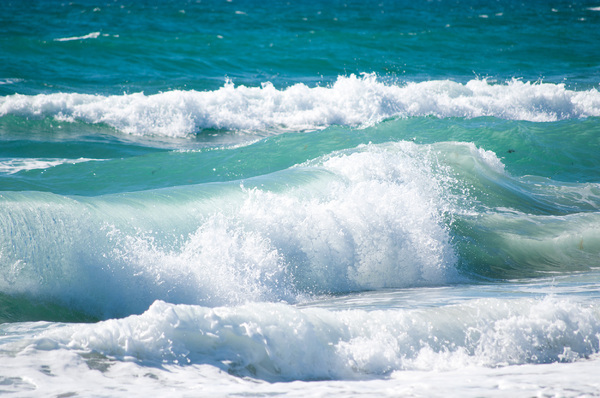 The Ocean and the waves are one and not separate. And, there is only one Ocean, which is the Emperor of all that exists! Realise that you are the Emperor of all dreams!! You are a dreaming Emperor!! !